Takes over the KBS2 Wed. & Thu. 21:55 time slot previously occupied by "IRIS 2" and followed by "The Blade and Petal" July, 2013. Lee Seo Hwa Dec 14 2016 8:44 am Oh the same background as Flower in Prison..
Aj Jun 19 2015 3:32 am LDW is one of my favorite actors, so it pains me to see him so bad in this drama. Amateurish and cartoonish over the top nonsense. What a shame. Seungdeok Mar 26 2015 1:13 pm This is an excelent drama, you must watch it.You will love the chemistry between Jung Hwan and Woo Young. Gag Dec 10 2014 7:06 pm Can anyone give a better translation for "Measles Ghost" from the Korean? JC Feb 22 2014 6:51 pm I really liked the relationship between Lee Jung Hwan and Choi Woo Young. 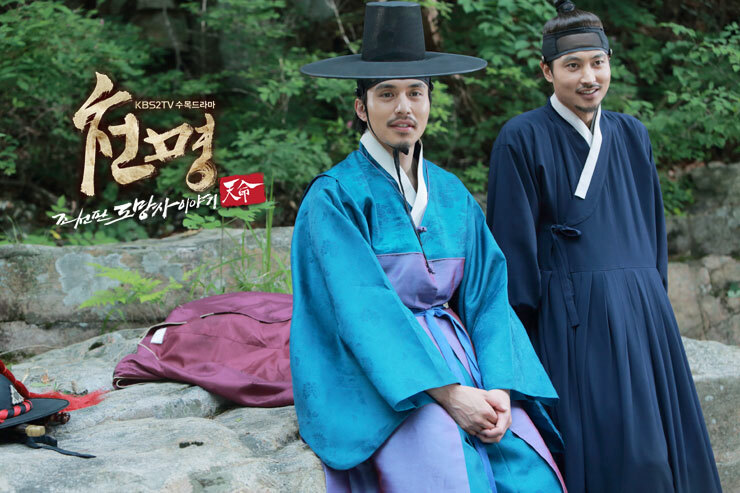 I kinda felt that Choi Won and Hong Da In lacked that chemistry or Lee Dong Wook just couldn't make it convincing enough. Either way I loved this drama, the story gets really interesting. Carola Feb 12 2014 1:35 pm Interesting from start to finish with great actors and actresses. My favorite actor was Song Jong-Ho as Inspector Lee Jung Hwan. I hope somebody will give Song Jong-Ho the main lead role he deserves...please ? Krysa Feb 03 2014 7:20 am Good drama with good story, but Lee Dong-Wook´s acting is really bad. Nice face is not all. Matt Sep 09 2013 9:30 pm I just finished watching this drama and I'm left craving for more of Choi Won-Da In scenes! I wish they gave the two characters a little more time for their love story. I hope I can see Lee Dong Wook and Song Ji Hyo in another series together again. (Yes, that's me, fangirling.) I miss seeing them together already. :)) Separation anxiety much. janice Aug 17 2013 6:46 pm Good show! Though it was very depressing with the events that happen throughout the show. Especially between the Queen, Crown Prince, and Grand Prince. minami Jul 27 2013 9:07 pm i love jung hwan and woo young couple! at first i want to watch this because of dong wook and ji hyo, but at last it turns to jung hwan and woo young..they are cute together! CikHan Jul 21 2013 6:24 pm Finally...ended..but what punishment for the queen???? day2x87 Jul 15 2013 1:20 am im only at episode 1 and this drama has me crying already. 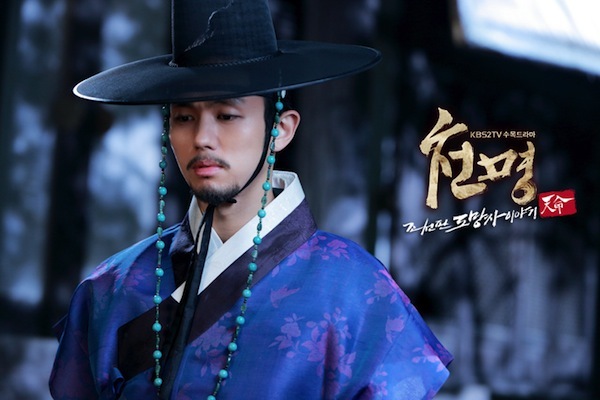 i commend lee dong wook for taking this role. it's nice to see him in a period and drama series. and so far, i like what i'm seeing. and because of that, i think i'm going to finish this. misspinkbutter Jul 11 2013 8:27 am I love dosa lee and wooyoung's romance! Superb acting! Every episode is really unpredictable! Sarang hae! Song Hong-Ho! CikHan Jun 27 2013 8:03 am Who is the guy that Queen hired on ep 14? Hi Jun 22 2013 5:08 am I love Woo young and Jung hwan's romance! Who's with me? anyway, even though at first i watched this drama bcoz of LDW, but then, i become addicted to this drama bcoz of Lee Jung Hwan and Choi Won's sister coupleee ^^ Sweeeet enough as a couple. Please let them together, scriptwriterrrr!! Adila Jun 05 2013 11:32 pm Best drama ever..
saena May 27 2013 7:39 pm choi rang is a superb actress! she is better than mina. FiFi Apr 21 2013 1:37 pm a must see drama cant wait !!!!!!! nie_noona Apr 11 2013 7:23 am can't wait! will definitely watch dong wook oppa and ji hyo unnie together! shakiba Mar 29 2013 5:08 am i love lee dong wook and i am so happy for this drama. dika Mar 16 2013 9:05 pm can't wait to see. mong ji and dong wook, i like them both. i like dong wook since my girl and more interested with mong ji since running man. hanchaerim Feb 19 2013 7:36 pm ACE JIHYO! Really looking forward to this drama! 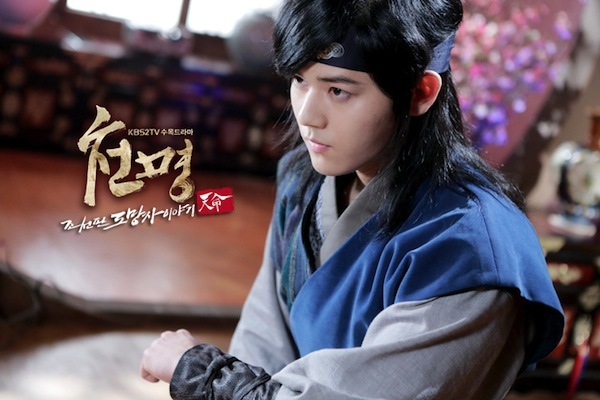 :D Moreover, It will be the first saeguk drama (am I right? hehe) for Lee Dong Wook. astrijj Feb 18 2013 2:13 pm WOW!!! !I can't wait!! Young-Jin Feb 18 2013 6:58 am With Song Ji Hyo... Ok, I want to watch it!! !